Ryan Seacrest is, at this point, the official king of red carpets and celebrity schmoozing. And being insanely wealthy. Also, not aging. Ever. But I digress. Seacrest usually goes for the same look as he makes his red carpet rounds every award season — clean cut, clean shaven, classic suit (usually from his own collection...because he's Ryan Seacrest and, yes, of course he has his own suit collection, guys). 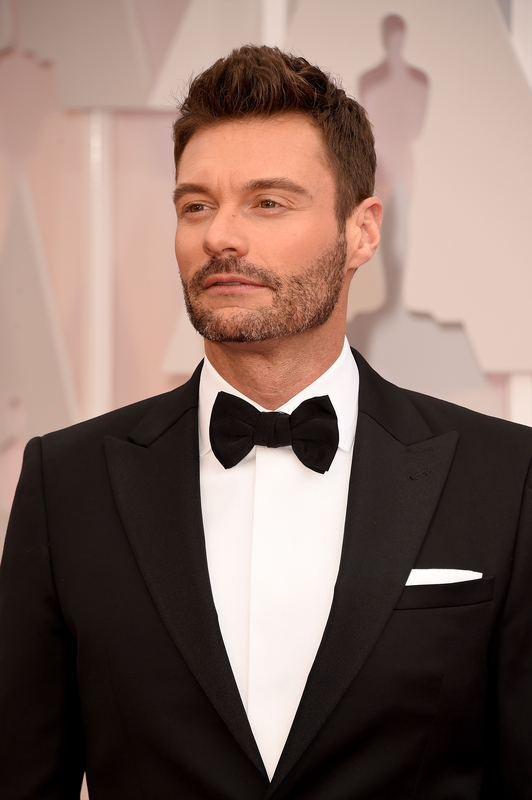 But for the 2015 Oscars, Seacrest has switched things up. The "Seabeard" has officially arrived, and it is definitely making a statement. Whether the scruff is simply Seacrest being trendy or (more likely) a statement to all of us that the Oscars are so, SO not a big deal to him anymore, the beard is quite the departure from Seacrest's usual looks. And personally, I'm kind of a fan. When you're the go-to guy for every major red carpet event, I'm sure there's a lot more pressure than you would think in terms of what you wear, how you're styled, and how your outfit is tailored. Seacrest always looks great, but I can't exactly say I remember many of his red carpet looks over the years. But the Seabeard? Oh, this I will remember. And, naturally, the good people of Twitter are taking notice of the Seabeard as well. This is the kind of thing the Internet exists for, guys.